You can set your proposals to expire after a set interval or on a custom date. Expiration can be set or adjusted before or after you deliver a proposal, giving you flexibility with each delivery you make. 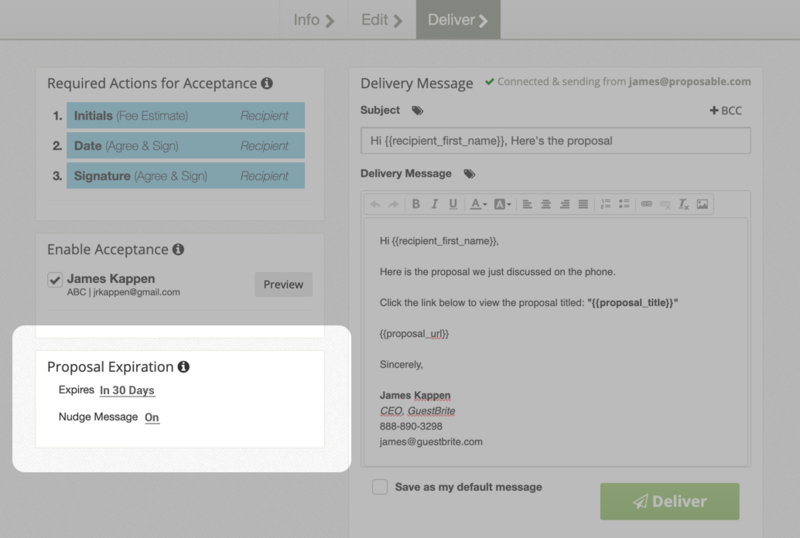 Expire settings can be adjusted for each proposal at the deliver step. Set a standard expire interval or pick a custom date. 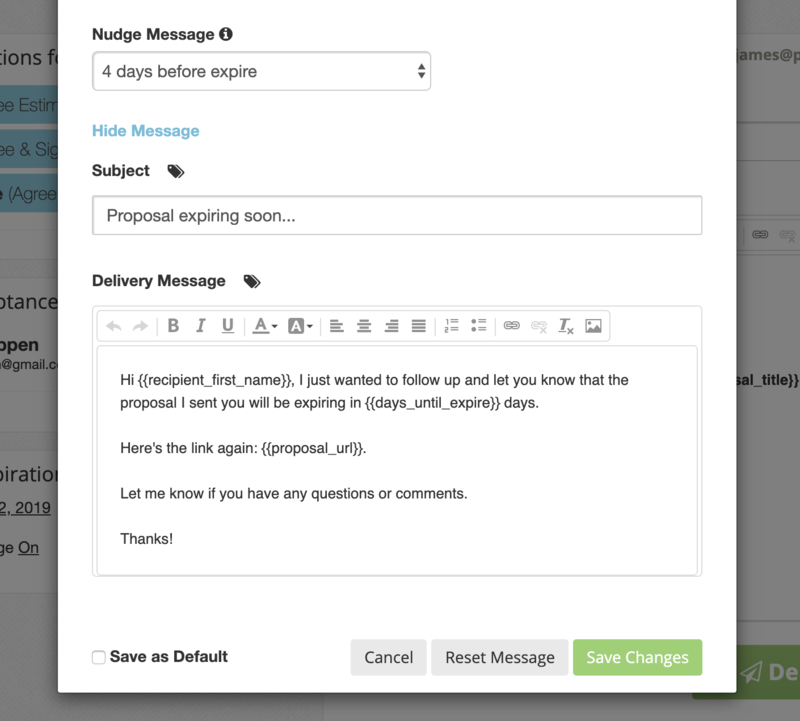 Set a “Nudge” message to notify your recipient before it expires. After you deliver a proposal, you can continue to adjust your expiration date, or manually set your proposal to "expired". If your proposal has expired, your recipient won't have access to it unless you "restore" it. 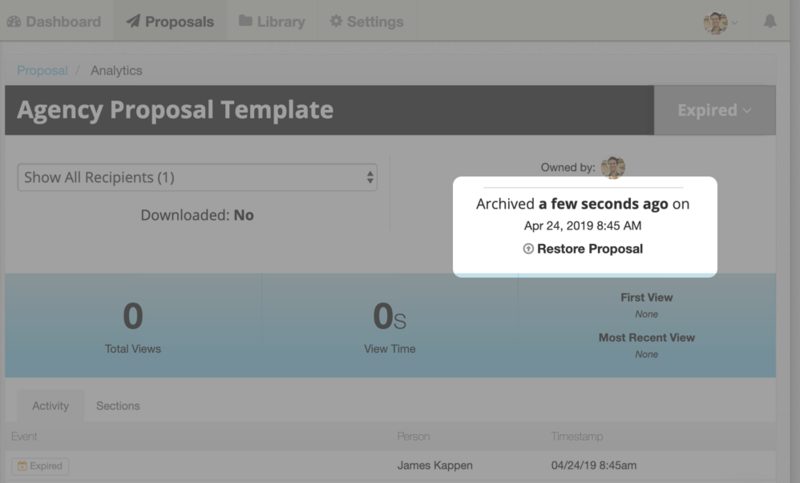 Restoring a proposal will once again make it accessible to your recipients via their proposal URL. Once your proposal is restored, you can once again adjust the expiration date to whatever you need it to be.